Karen Dahl, MD, is vice president of quality at Valley Children’s Hospital. In her role, she oversees quality and outcomes, risk management, infection prevention and patient safety for the Hospital. 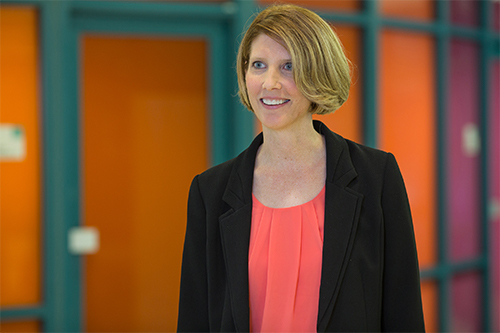 Prior to joining Valley Children’s in July 2014, Dr. Dahl worked at Helen DeVos Children’s Hospital in Grand Rapids, Mich., where she held several positions, including pediatric infectious disease consultant, chief of pediatric disease section, associate medical director of infection control, and director of the antimicrobial stewardship program. She also served as assistant professor of pediatrics at Michigan State University College of Human Medicine, and received the inpatient teacher of the year award in 2014. In 2013, Dr. Dahl was named in the Grand Rapids Magazine “Best Doctors” edition. She also received Spectrum Health System quality awards from 2008 to 2011 for infection prevention projects. Board certified in pediatrics and pediatric infectious diseases by the American Board of Pediatrics, Dr. Dahl also works as a pediatric infectious disease specialist at Valley Children’s caring for inpatients with infectious disease conditions. Valley Children’s medical staff is not new for Dr. Dahl. From 2003-2005, she worked at Valley Children’s as a pediatric infectious disease consultant, hospital epidemiologist, and medical director of infection control and prevention. Dr. Dahl has presented her work across the country and published in peer-reviewed publications such as Infection Control and Hospital Epidemiology; Clinical Infectious Diseases; Pediatric Infectious Diseases Journal; Journal of Infectious Diseases; and American Journal of Pathology. She is a member of several professional organizations, including the Pediatric Infectious Diseases Society, Infectious Diseases Society of America, American Academy of Pediatrics, and Society for Healthcare Epidemiology of America. Dr. Dahl received her medical degree from Washington School of Medicine in St. Louis, Mo. She did her internship and residency in pediatrics at Children’s Hospital Medical Center in Cincinnati, Ohio. She completed her fellowship in pediatric infectious diseases at the University of Colorado Health Sciences Center in Denver, Colo. In her free time, Dr. Dahl enjoys spending time with her husband, cooking and traveling.